This year the Wirksworth Festival is playing host to a group of artists from South Australia. As part of their introduction to the area and some of the art it itself has inspired, my friend Alastair Clark was asked to organise an introductory walk with local inputs. I was fortunate enough to be asked to be among the sculptors, artists, writers, poets and dancers making presentations. 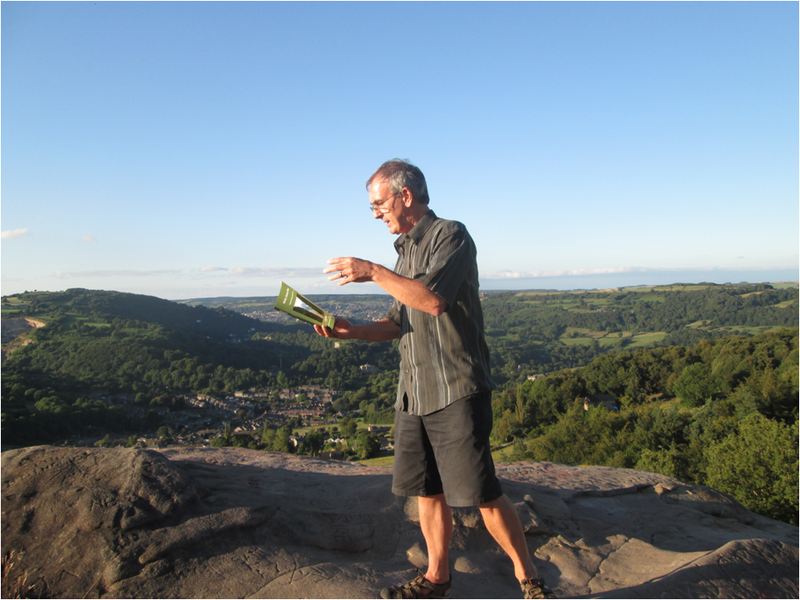 Alastair asked if I would read my piece 'Hanging in the Balance' about a dramatic cliff rescue that I was involved in some years ago on Wildcat Cliffs in Matlock Bath. These cliffs are behind and obscured by me in this photo at about waist level. With a sixty foot drop just behind me here on top of Black Rocks, this was probably the most unsettling setting in which I've ever presented or lectured - and I've known one or two! That sixty foot drop must have been quite a distraction Andy, but I do like the idea of reading outside. Well, yes, I had been worried that my mind would be mainly on the drop rather than reading the piece. In the event I looked at the ground before I started and told myself 'No further backwards than this'. And I think that the extra adrenalin generated by the setting ended up being translated into the actual performance to beneficial effect.